The pilot-operated Bachem Ba 349 "Natter" ("Adder") was one of several unexpected new weapons Germany was seeking to perfect for a more effective defense against Allied heavy bombers. The idea of the ground-to-air missile to slow down, if not stop, attacking aircraft was one of the greatest developments to come out of World War II, and Germany led the field. 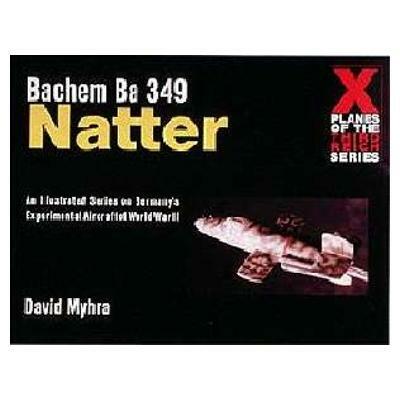 David Myhra has taken 240 photographs and illustrations from his collection and presents the world's first defense interceptor missile - the manned Ba 349 "Natter." 11" x 8 1/2", 128 Pages, Soft Cover. Over 200 photographs, line drawings.